Another independent film that deals with a dysfunctional family, yet The Kids Are All Right, with all its simplicity, seems fresh. Works both as a parade of beautiful people and as a study on relationships and love in all its forms. Light, but realistic dramedy perfectly captures the tension and awkwardness that a new component added into (what seemed as) a solid-as-a-rock family can cause, as well as the comedy that can come out of such situations. Annette Bening and Juliane Moore, two of the best actresses of their generation, are particularly good, especially the former. 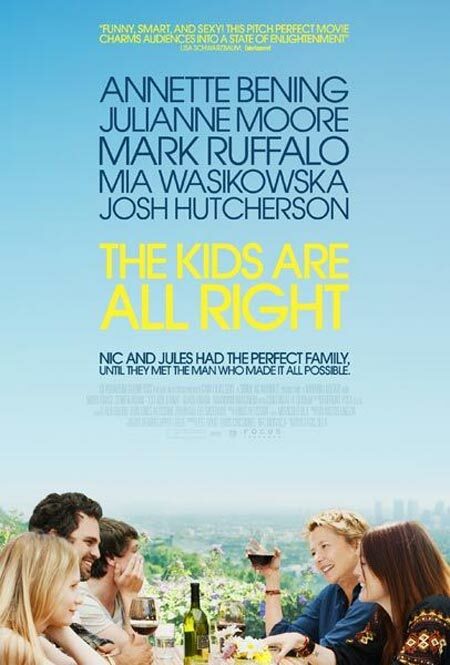 The titular “kids”, Josh Hutcherson and Mia Wasikowska, are decent supporting players and, as their father, perpetually underrated Mark Ruffalo is solid. This is the indie of the year.